Hanza Tower - Flats and houses - J.W. Construction Holding S.A. This is a modern complex of exclusive apartments, office and commercial spaces offering all amenities, including swimming pools, clubs for adults. Penthouses constitute a unique offer for discerning customers. At our customers' disposal are exclusive penthouse-type apartments located on the highest levels with unique spaces, high-quality finishing, and original interior design. 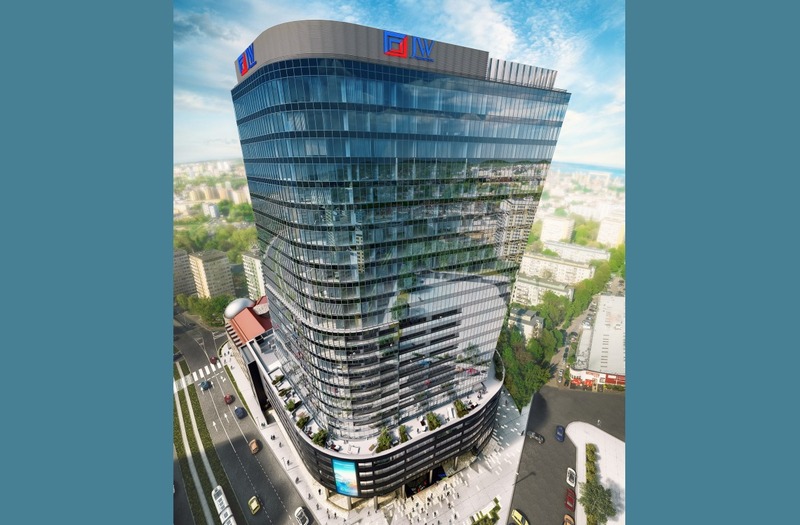 Hanza Tower are an attractive proposal for investors looking for safe capital investment or stable profit. At teneants' fingertips available shall be reception, swimming pools, sauna zone, laundrette, as well as clubs for children, teenagers. Hanza Tower as an architectural pearl of Szczecin offers business and service premises located on the ground and first floor. Owing to its ingenious architectural solutions all ground floors have independent entries. A great asset of Hanza Tower is its perfect location in the very center of Szczecin, in a prestigious and attractive surroundings of the city center, and in the fastest growing city district, between Aleja Wyzwolenia and Odzieżowa street. Monday - Friday10 a.m. - 6 p.m.
Saturday10 a.m. - 2 p.m.
Investment advisor Hanza Tower they are at your disposal!